Call it baby’s first plantain porridge and you are right. Plantain is part of our delicious Nigerian cuisine and can be fed to babies as a weaning meal. Ripe plantain can easily be mashed up once cooked and fed alone or with other foods to older babies. Cut ripe or unripe plantain into strips or circles, season with spices and bake or fry them to make a simple and healthy finger food for your toddler. It is also a good way to encourage baby-led weaning. Ripe plantain contains a lot of essential vitamins and mainly rich in vitamins A and C, which plays a major role in maintaining good body processes, aids the body to grow well, boosts the immune system and also works to promote healthy eyes. Ripe plantain is sweet on its own and i’m sure it will be a winner for babies with the added ingredients for a more nourishing meal. Peel off the back of plantain, dice and put in a pot. Add the rest of the ingredients except vegetables and put to boil. Allow to cook for 15-20 minutes or till plantains are soft and top with water if it is getting dry. Add the vegetables, simmer for a minute and remove from heat. Puree with a hand blender and serve. Try other baby food purees too. Send us a picture or tag us on Instagram, Facebook and Twitter. 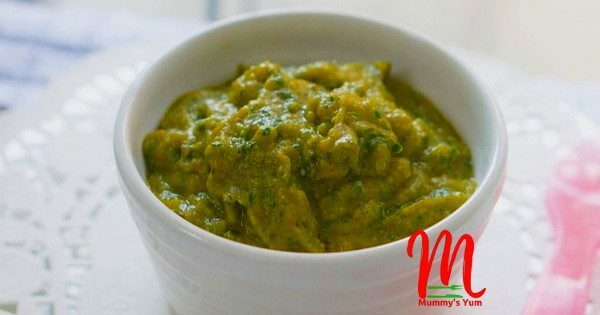 I have always wanted my baby to be inclusive in our daily meal and today I gave him ripe plantain puree and it was prepared with all u listed, d 1st thing is that the puree was exceptional and the second this remains that my baby boy, he is 7 months and 12 days turned oliver twist after warming his system with this wonderful purer. Guess the dry fish killed the puree. Thanks for sharing the amazing recipes. Made the ripe plantain and vegetable for my baby,I haven’t seen her eat so much in a long while. Will be making more of your baby recipes. Thank you so much for the feedback Maureen. Glad our babies are eating homemade yummies. Thanks so much for all your amazing recipes.I have tried all the recipes for my triplets and they are so enjoying it…..God bless. Thank you so much for your feedback Mabel. Nice recipe. What age can they eat this? Weldone mama. Keep inspiring us!